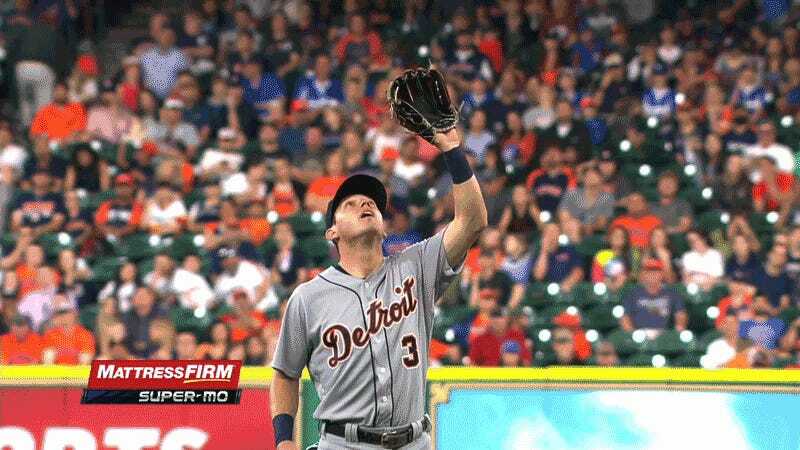 Tigers second baseman Ian Kinsler dropped a pop fly on purpose in the fifth inning of today’s game in Houston, purely to replace a speedy baserunner with a slower one. It worked perfectly. The situation: Colby Rasmus walked as the inning’s leadoff batter. Tyler White, a slow first baseman, followed up with the pop fly. Kinsler pretended to field the ball, only to let it drop, and then threw to second to get the force on Rasmus. The box score will record it as a 4-6 ground ball fielder’s choice, but give a star to Kinsler for being clever. Points removed from the Astros radio announcers, who initially and incorrectly believed the infield fly rule applied.